Data analysis by writer Ketan Joshi has revealed the extent of the Australian media's obsession with Abdel-Magied. The establishment of an enlarged Department of Home Affairs under the ministerial control of Peter Dutton is an unnecessary, mistaken policy, writes Richard Woolcott, former head of DFAT and president of the UN Security Council. 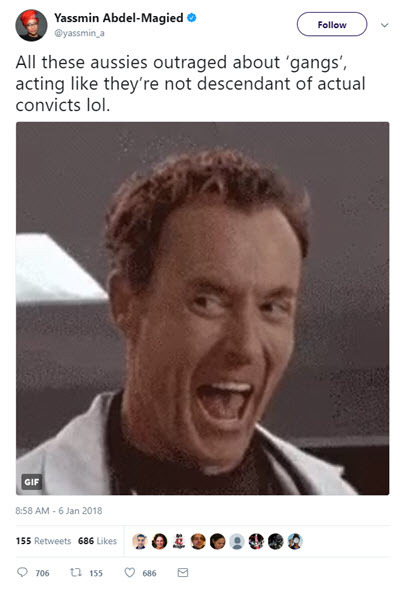 What kind of a shitheap country have we turned into? Posters calling for Waleed Aly and Yassmin Abdel-Magied to be deported and Sarah Hanson-Young to be hanged are dragging us back to the racist, sexist and homophobic Australia of the 1950s. 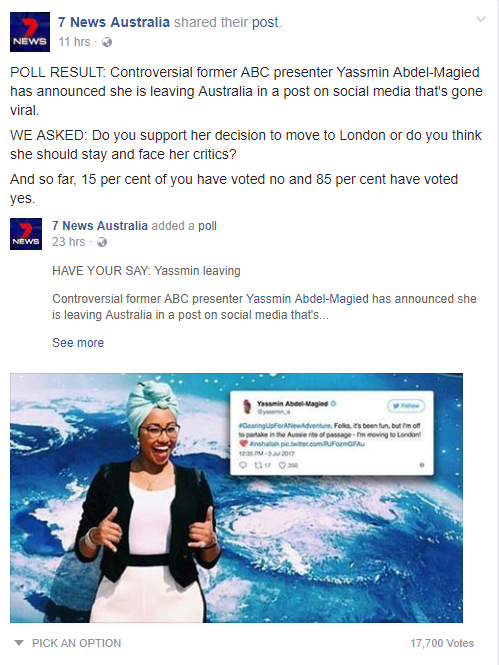 Seven has apologised for a poll asking its Facebook users whether commentator Yassmin Abdel-Magied should leave the country. Eric Abetz has some questions for those lefty head honchos at the ABC and SBS. Crikey journalists Josh Taylor and Emily Watkins report.